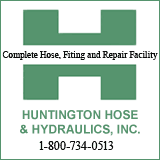 Huntington Fire Chief Jan Rader submitted a "progressive" highest in history budget that includes a $500,000 new apparatus , 50 sets of turn out gear, a new facility on the southside of the railroad tracks, and about $282,000 in salary items. Chief Rader indicated that the new truck purchased last year will arrive in June. It will be in kelly green for Station Two. Council woman Carol Polan asked about aerial apparatus. Rader explained that engines run $500,000. An aerial truck runs $1,000,000. She told Polan that the fire department could use the $500,000 in the budget, then , if an aerial unit is needed the difference would be done through a lease/purchase. Addressing the "elephant" in the room, she indicated that Ray Canafax has been promoted to an administrative deputy chief who now serves as the fleet manager. Both tower trucks are currently in operation. "I take full responsibility as the chief for any issues we have had on the fleet, but I can reassure you we have taken steps already to fix those problems with the fleet," Rader told council members. A technician from the manufacturer of Marine One visited this week. A repair proposal will be made. Likely, the vessel will be fixed at the factory. Insurance will pay for the repairs, she said. Meanwhile, the US Coast Guard has upgraded the old Carolina skit craft and will train HFD members on use of it. When Marine One is repaired, the Coast Guard will train firefighters on its use. HFD has rearranged their handling of drug overdose calls. Now, the department responds to only "life threatening" OD calls, which has decreased responses. The department handled 298 fires of which 85 were house fires. Rader will report back to council on the number that were vacant houses. 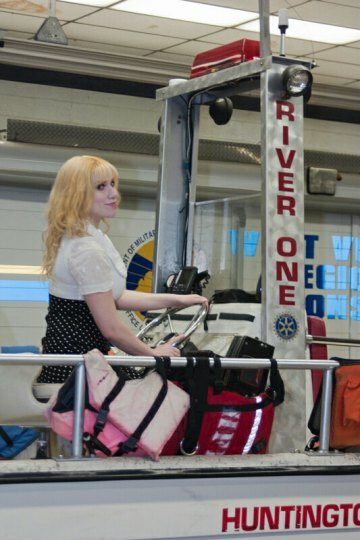 Elsa posed on the skiff in an HNN promo to assist the HFD in receiving the grant for Marine ONe.